Fashion design and interior design have always evolved hand in hand. As interior designers, we look at fashion as a source of inspiration because most of the time fashion is a true reflection of the current times we live in. As the word “trend” tends to be a little scary for some people who are looking for timeless design, it may be better to focus on a “timeless trend” and that is a classic look. Some condominiums have a particular interior design of the amenities areas that attracts a certain buyers with a certain taste when it comes to design, either contemporary or traditional. Most of the time the amenities design style is translated in the interior design of private condo residences. Many of my clients live in the buildings I have designed and they come to me because the design of the lobby or party room appeals to them and they want a similar style for their condo unit. Fashion has never ceased to inspire me. 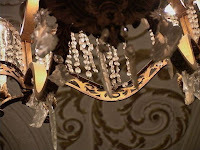 And when you look at the connection between fashion design (clothing, jewellery, footware) and interior design elements (light fixtures, upholstery, drapes, throw pillows, accessories) you can’t help but notice that they go hand in hand. Over time fashion had a direct reflection in the world of interiors. 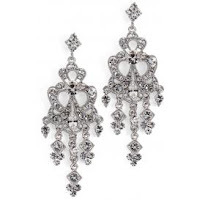 Talking about trends, ladies...think of how long crystals earrings came back few years ago and in the same time crystal chandeliers have been redesigned to appeal to both contemporary and traditional styles.